Acoustic Alaska Guitar Camp, An Evening of Acoustic Arts Preview - Live music by Kim Richey and Betty Soo on KNBA. 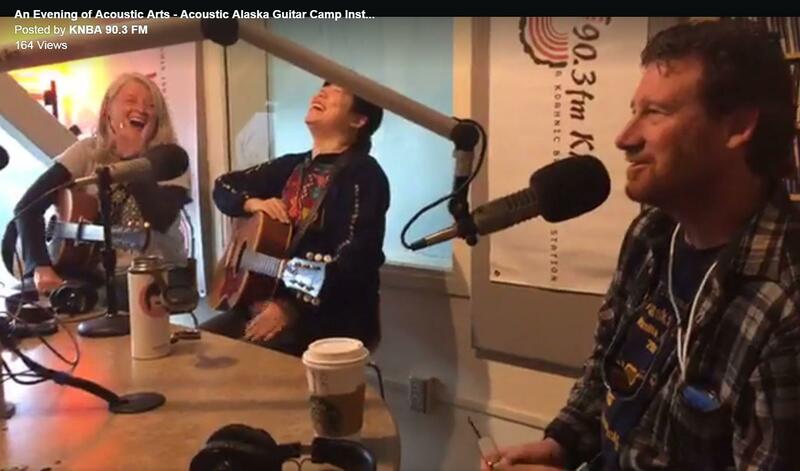 the 14th Annual Acoustic Alaska Guitar Camp is co-sponosred by KNBA. The Instructor Concert is held on Wednesday, August 31st, 2016. This year's camp instructors include Italian-born flatpicker Beppe Gambetta, fingerstyle champion Chris Proctor, Scottish-born singer/songwriter Jill Jackson, Uke sensation Victoria Vox, swing maestra Cyd Smith and Czech-born mandolinist Radim Zenkl. Other performing artists include Canadian Roots dobro artist Doug Cox and Steve Baughmanon Clawhammer Guitar and Banjo.